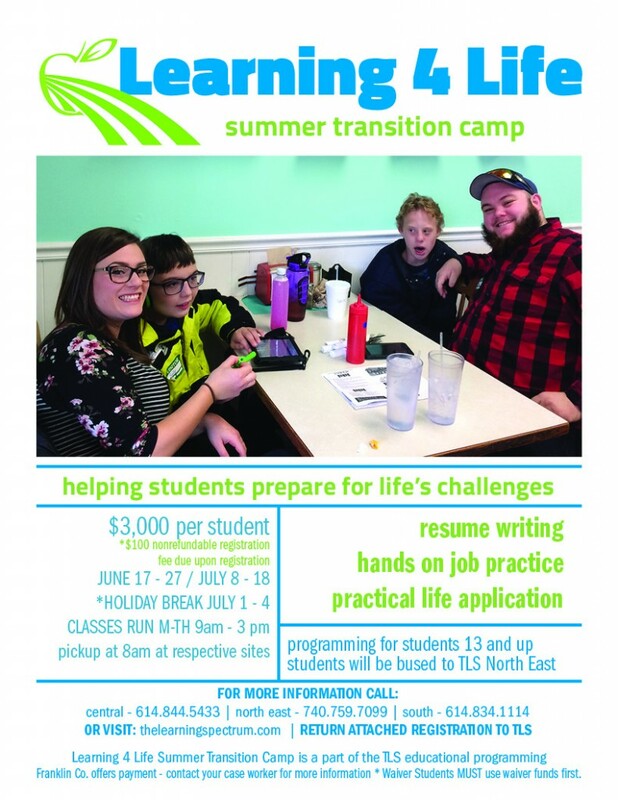 This year our TLS Has Talent Summer Programming is broken down into many options spread over our three locations. 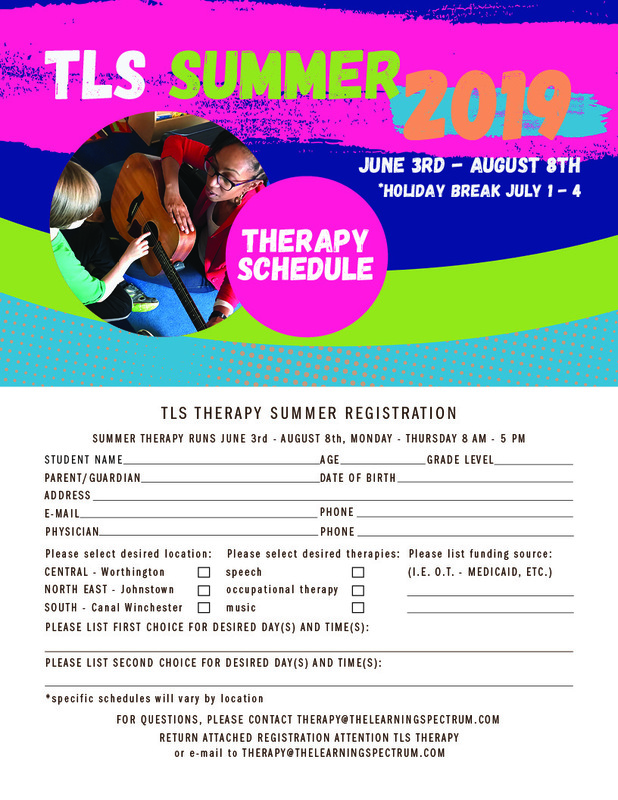 Registration for current TLS families is open now until February 28th. Open Enrollment begins March 1st. Please note, there are limited waiver spots for each site. 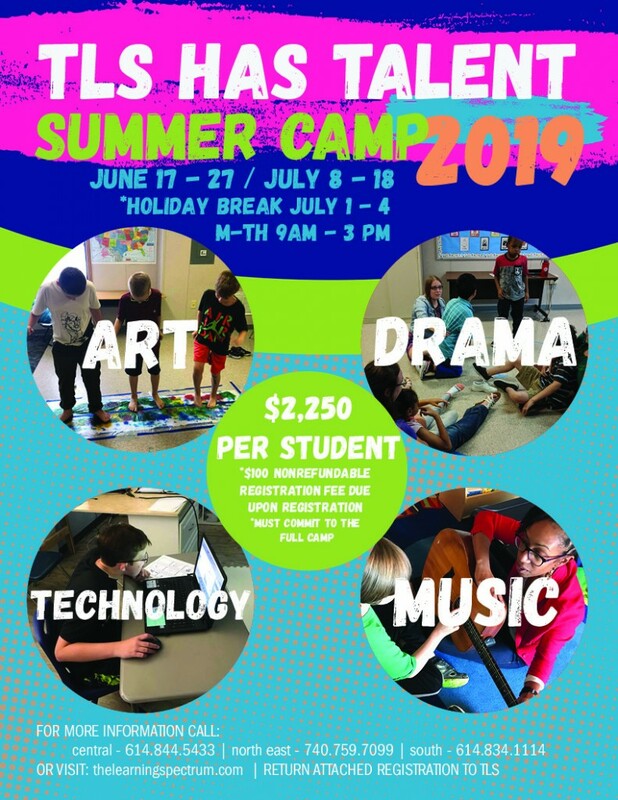 All families utilizing the I/O Waiver for the TLS Has Talent Summer Camp, must pay the $500 material fee Out of Pocket. Before registering, verify that you are eligible within Franklin County. 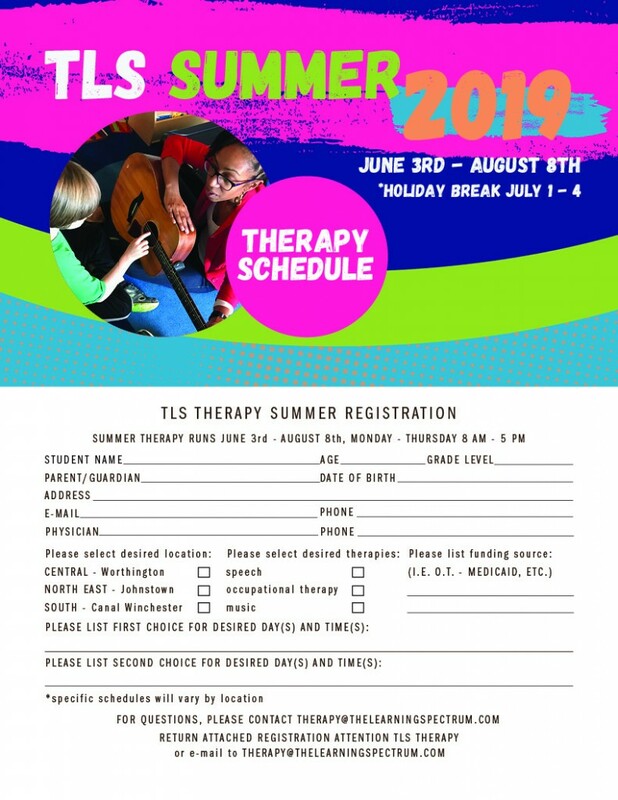 Contact Therapy Director Julia Jovanovic at therapy@thelearningspectrum.com. Please note, there are limited FCBDD Payment Agreement spots. 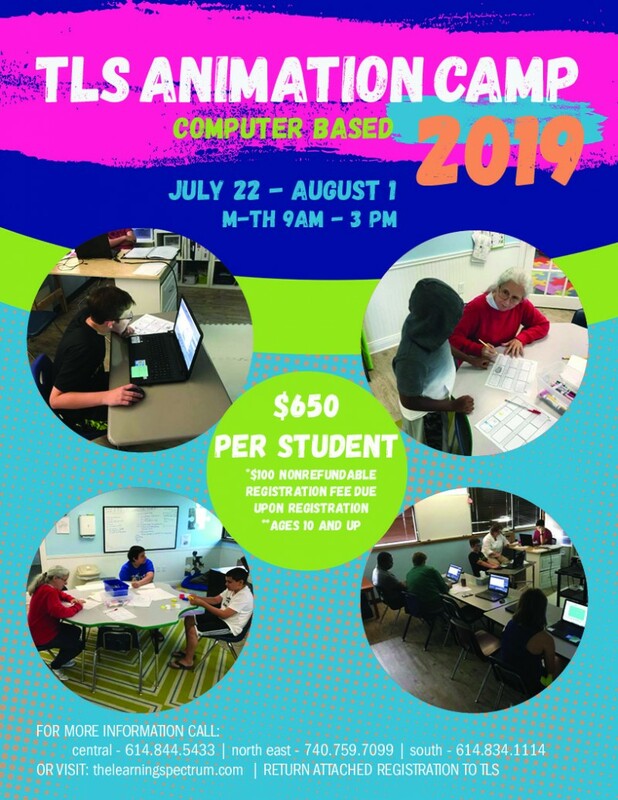 To register please return the registration form, along with your non-refundable $100 registration fee to your desired TLS location. *Please call for Peer Rates. ** ABA programming runs year round. Summer Break is July 1st – 5th. 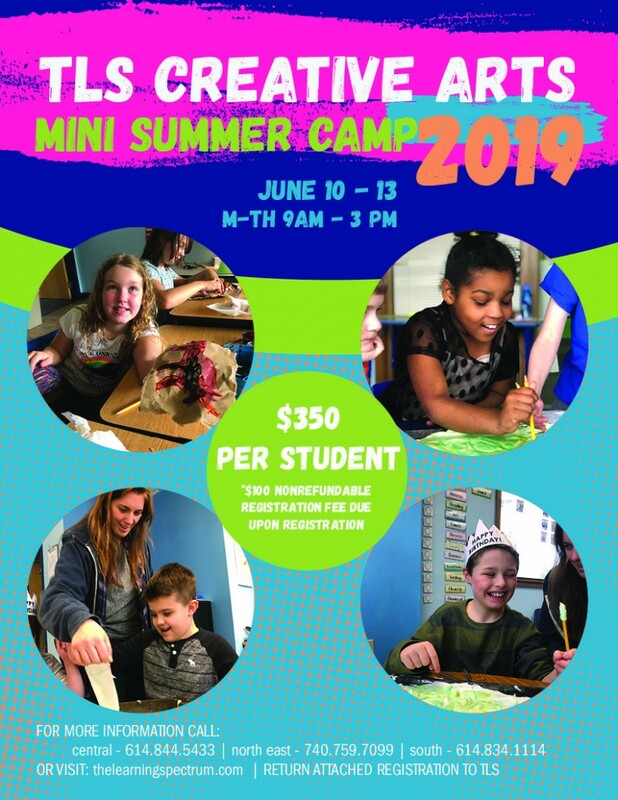 Contact your Site Director for additional dates. * Ages 13 and up. ** Students from Central and South Locations will be bussed to North East daily.